What a very clear and loud refusal this is of the Trust's approach of batting off real staff anxieties by trying to placate very concerned GMB members through the use of empty promises and pointless rhetoric, says GMB Southern. GMB Nurses and HCA’s working at the Royal Alexandra Children's Hospital have returned figures of 100% in favour of taking industrial action to protect their current on call policy arrangements. 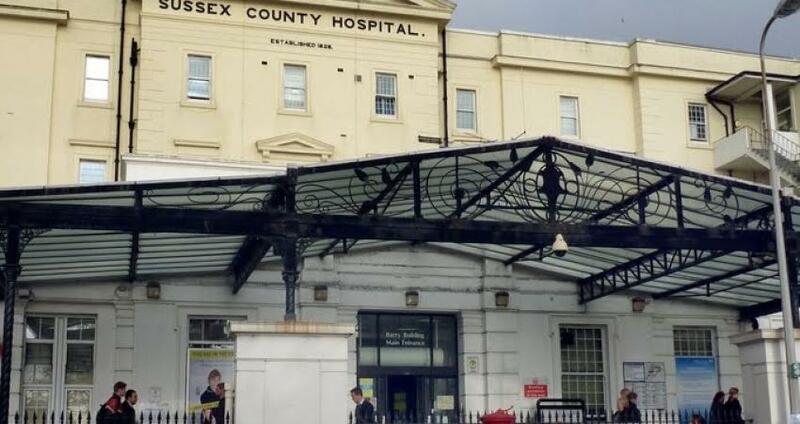 Brighton and Sussex University Hospital NHS Trust are seeking to amend current working practices and processes, a move which will see patient safety potentially put at risk. Amendments would see staff forced to choose between breaching the working time 11 hours of continuous rest directive or taking their rest period and face losing money or having to bank shifts for later in the month. The ballot result, published by the Electoral Reform Services (ERS), shows an 83.3% return and a resounding response for both action up to and including strike action and action short of strike action. GMB members will now meet to discuss and agree what form of action they will take if BSUH senior management continue to filibuster around meaningful engagement with both GMB as their recognised Union and its members within the department. "What a very clear and loud refusal this is of the Trust’s approach of batting off real staff anxieties by trying to placate very concerned GMB members through the use of empty promises and pointless rhetoric to stall matters. "The outcome sent to the team, resulting from the Trust consultation and all the issues raised by the Paediatrics Team, is that there should be a review, and that to do so they intend to establish and begin a programme of work after April 2019 leading to that review which could then take a further 6 months to complete. "What a load of rubbish, and how disrespectful to the hard working staff in the Paediatrics Theatre team can the Trust be if that a consultation outcome is to start a consultation. "Heaven help the rest of those affected within the Trust as BSUH management try to press on in enforcing detrimental changes to their on-call arrangements in other areas throughout both the Royal Sussex, and Princess Royal hospitals if this is the strength of the Trust’s arguments in wanting to make changes in the first place. "The sooner they also consider standing together and take a similar firm position as the paediatrics theatre team have to protect the current T&C’s, the better for them if they also want to avoid endangering patient safety, face pay cuts and/or risk losing even more of their current work life balance. "In the meantime, GMB will now sit down and discuss with members the dates from April 1st on which they will be taking a range of various industrial actions against the Trust and what form they would like that action to take, any or all of which could include: All out strike on selected dates, working to rule and/or refusal to cover on-call arrangements. "So let’s be clear to the Trust and Alexandra Hospital management team, GMB have tried several times to offer olive branches to you, and each time you’ve knock them back, the latest being that we would sort an agreement to extend the time allowed for members to begin taking industrial action, so we could sit and confer over the scope and time limits for these further discussions, but again BSUH aren’t interested. GMB will of course continue to make ourselves available should the trust have a change of heart and wish to make a concerted effort to engage with us and our members. "However, because of the Trust’s entrenched position, from April 1st if meaningful engagement hasn’t already commenced with GMB and its members or that changes are unilaterally implemented, our members will be giving the required legal notices to start taking direct action to protect patient services and their work-life balance and salaries."